Thank you for inviting me to visit! I’m a veterinarian with a passion for writing action-adventure paranormal romance. I have a special love for archaeology, especially anything Egyptian. Although I’ve gone on field expeditions into rain forests, I’ve never had a chance to visit a hot, sandy country and see a real dig site. It’s a goal. And I’m good at goals. 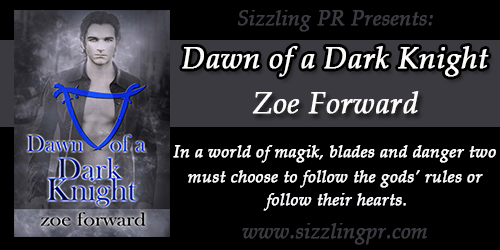 In DAWN OF A DARK KNIGHT Dr. Kira Hardy jeopardizes her brilliant medical career to save Ashor Vlahos, Scimitar Magi commander, after a brutal daemon attack. Their attraction is instant and, for Ashor, forbidden. As an ancient nemesis resurfaces and targets Kira, they face a crucial decision—follow the gods’ rules or follow their hearts. I have a variety of projects always in the works, but my focus is on the sequel to DAWN OF A DARK KNIGHT. What inspired you to write DAWN OF A DARK KNIGHT? The idea really just came to me all at once. I love the mystery of ancient Egypt, and created this small band of heroes trying to make it in a modern world while obeying rules set down by ancient gods. I use a no nonsense style that puts the action right up front. I love dialog and keeping it real. I’m not a person prone to long exposition of detail because as a reader I get lost in that kind of prose. I weave world building and character development into the overall story. I let the characters drive the story. I’ve had a few fights with characters that acted in conflict to where my mind wanted the story to go. Ultimately, the character won. How I wish I had the luxury of time to schedule my writing. I’m thrilled to steal a few minutes in a busy day to pen some pages. Most plotting and brainstorming happens on my work commute or walking the dog. Bottom line is that I make it happen. Getting the book accepted for publication, although a fantastic moment, wasn’t the end of the work. This was but the beginning of a collaborative, hard process to modify, tighten and strengthen the work. Write, write, write. Get the first draft on paper…finish the book. Then, have the toughest, most honest critic you know read it. Waiting for me are J.R. Ward’s Lover At Last and Rick Gualtieri’s The Mourning Woods. Several years ago I realized I wanted to write fiction as well as read. The characters bumping around in my brain screamed to be free. Releasing them onto paper was an exhilarating experience. My family has been amazing — supportive and patient. They suffered through countless versions of DAWN OF A DARK KNIGHT. But the one great thing about family is they are brutally honest and, even if they disliked parts of it, they still loved me. Many people have helped mold me into a writer, but none more so than my mother who always took the time to read everything I’ve ever written and comment. She is, herself, an artist very open to the world around her. Artists do truly see the world in a different way. As Georgia O’Keeffe says: To create one’s own world in any of the arts takes courage. 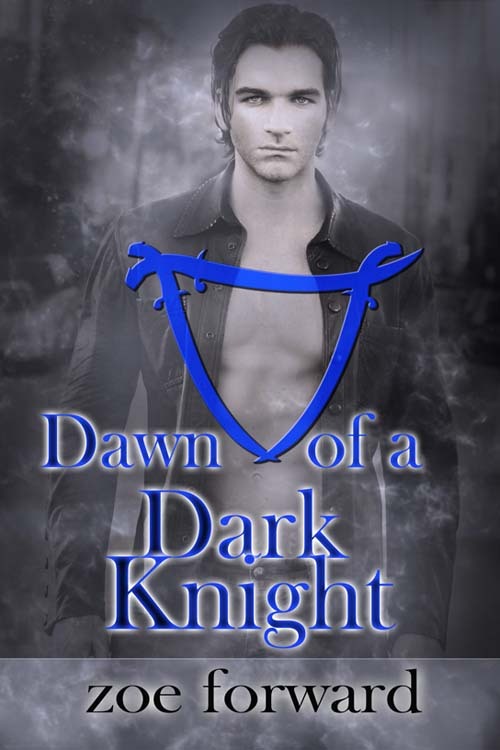 I’m working hard on the sequel to DAWN OF A DARK KNIGHT, which is deliciously exciting.